EU European standard EN 10080:2005 specifies general requirements for ribbed weldable reinforcing steel used for the reinforcement of concrete structures. The standard covers steel delivered in the form of bars, coils (rod, wire) and decoiled products. The standard contains details of definitions, test methods, evaluation of conformity and identification of the manufacturer and the technical class, provisions for three steel grades, all of 500 MPa characteristic yield strength, but with different ductility characteristics. 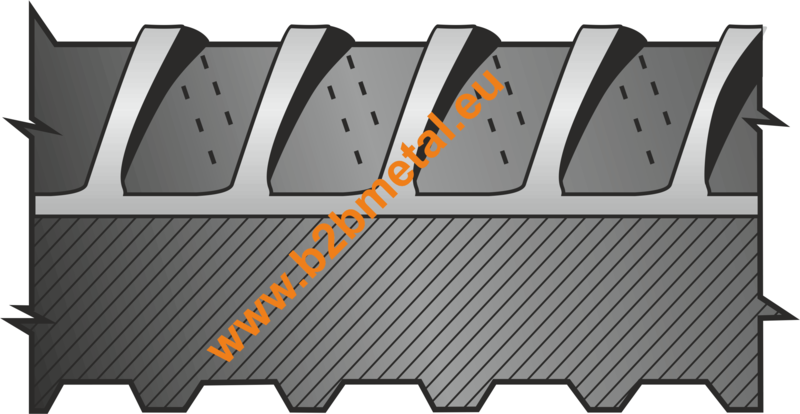 There are three grades of reinforcing steel: B500A, B500B and B500C. Letter “B” indicates reinforcing steel. Letters A, B or C describe the ductility of the steel. Lowest ductility in class A, highest in class C.
further processing, e.g. cutting or cutting and bending. Standard EN 10080:2005 has been prepared by Technical Committee ECISS/TC 19 “Concrete reinforcing and pre-stressing steels - Properties, dimensions, tolerances and specific tests”, the secretariat of which is held by DIN. EN 10080 is a harmonized European Standard, and contains within it the requirements for CE marking of reinforcing steels according to the Construction Products Directive. This European Standard was established by CEN (European Committee for Standardization) CEN members are the national standards bodies of Austria, Belgium, Cyprus, Czech Republic, Denmark, Estonia, Finland, France, Germany, Greece, Hungary, Iceland, Ireland, Italy, Latvia, Lithuania, Luxembourg, Malta, Netherlands, Norway, Poland, Portugal, Slovakia, Slovenia, Spain, Sweden, Switzerland and United Kingdom. Standard applies to all EU countries.